Belgium’s favourite luggage brand grew through passion and creativity from 1987. It has developed a range of affordable, sporty and functional bags and lifestyle essentials that have gone on to become wardrobe favourites for women in 65 countries across the world. One of France’s leading luggage brands. 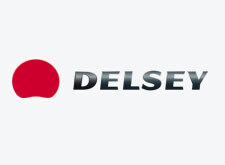 Founded seventy years ago, the luggage that is undeniably French, innovative, with a subtle elegance, Delsey designs, possess a unique signature, a strong passion for history and architecture, an innate sense of style and proportion… and a typically French charisma. 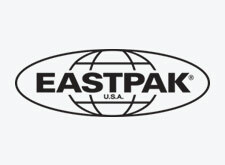 Founded in the US in 1952, Eastpak has grown from a manufacturer of canvas bags for the military into one of the world’s leading outdoor luggage brands. Always innovative, Eastpak was the first company to add wheels to soft luggage – back in 1999 – and regularly collaborate with international fashion designers from APC to Jean-Paul Gaultier. We are the wholesale distributor for Safa India’s most renowned luggage manufacturer.